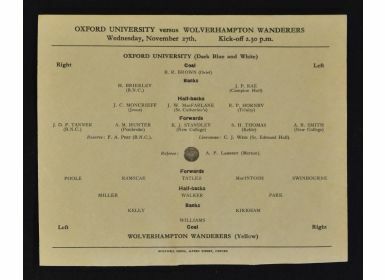 1946/47 Oxford University v Wolverhampton Wanderers Football Programme dated 27 November 1946. Single sheet, no writing. Good. 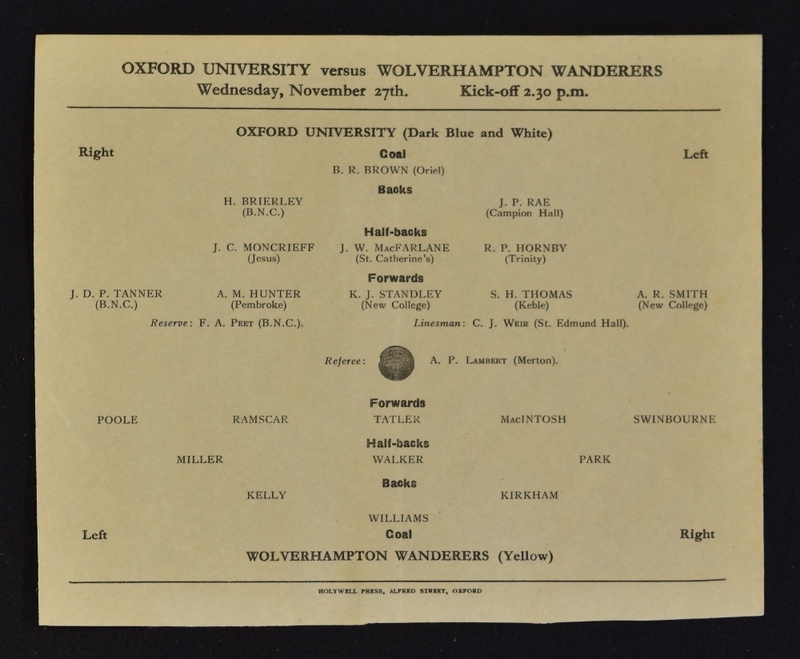 NB: Bert Williams in goal for Wolves.